Here at Custom Touch Electric, we are constantly reinvesting in our business as well as new equipment in order to provide homeowners with the safest and most reliable electrical service in Fallbrook. Our professional electricians can come to your home, business, or office and diagnosis any problem you may be having. If something needs to be repaired a valued member of the Custom Touch Electric team will come by and personally guarantee an excellent job for you. 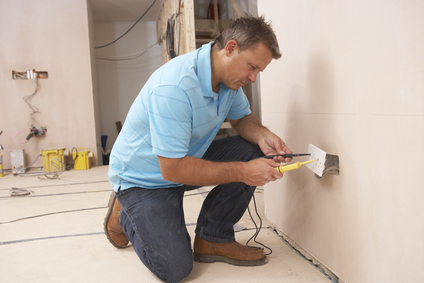 All of the electrical materials we install for your project will be the finest that are available as well. This all makes it worth it to give us a call rather than to try and fix something yourself, which could be dangerous and not effective. Do not get in over your head with dangerous electricity. According to the US Consumer Product Safety Commission, approximately 300 electrocutions occur per year around the home. Don’t be a statistic, Call Custom Touch Electric for help instead! !